The board of directors of British oil company BP has approved a deal to swap its holding in TNK-BP for a big stake in Rosneft and cash, the Associated Press reported Sunday, citing an unidentified person familiar with the matter. The deal would give BP a stake of between 16 and 20 percent in the Russian energy firm, sources familiar with the situation said, Reuters reported. The deal can be described as having two steps for a single transaction worth in excess of $25 billion, according to one source familiar with a proposal put to BP by Rosneft last week, Reuters reported Sunday. Under Step One, BP will receive a 13.4 percent holding of Rosneft’s shares that currently belongs to Rosneft in the form of so-called “treasury stock,” and which is nominally worth about $10 billion based on a tiny free-float of Rosneft shares that put the value of the company at around $73.5 billion. It will also receive an undisclosed amount of cash. Under Step Two, BP will use some of that cash to buy more Rosneft stock, as it promised to do at a recent meeting between Rosneft chief executive Igor Sechin and BP’s chief executive, Bob Dudley. That would most likely to be sourced from the 75.2 percent holding of Rosneftegaz, a state energy holding company that is also headed by Sechin. The price and amount of shares was still being hammered out over the weekend, but based on a total deal value of $25 billion, a Rosneft stake of 16 to 20 percent would be worth about $12 billion to $15 billion, leaving $10 billion to $13 billion in cash, some of which shareholders hope will be returned to them. “There’s still stuff going on, so it’s best not to get too specific,” said the source. Still, the debt component of the deal would be a hefty load even for a giant like Rosneft. It posted a profit of 316 billion rubles ($10.2 billion) last year according to international accounting standards. The company would also rake in cash from its interest in TNK-BP, which paid out $7.9 billion as dividends last year. Rosneft might need even more cash, should it decide to acquire the remaining half of TNK-BP from the four billionaires who own it. Rosneft reportedly agreed to pay $28 billion for that stake. Brokerage Renaissance Capital said that the acquisition was imminent. 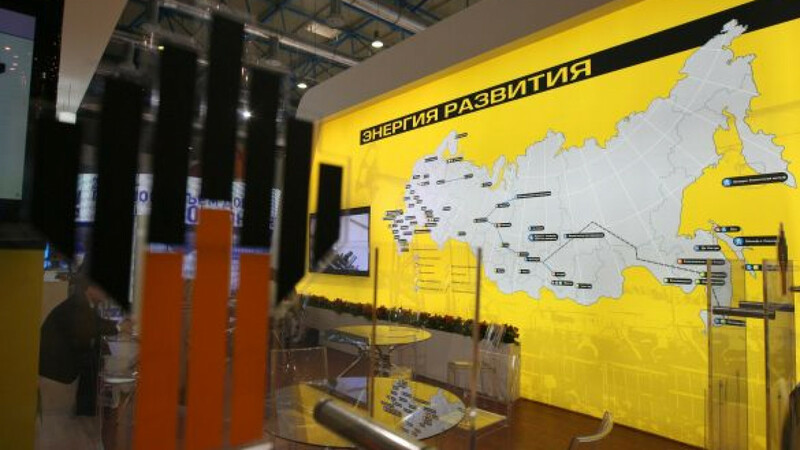 “We are skeptical that Rosneft will be able to operate with two boards of directors and two separate business plans for Russia,” RenCap analysts led by Ildar Davletshin said in a report Friday. The company that represents the four billionaires, AAR, could get deferred payments and some equity component, the report said. For the deal to be successful, Rosneft must allow BP to directly participate in Rosneft’s decision-making process in a bid to raise operating efficiency, the report said. Any of Rosneft’s purchases would have to receive approval from the government at a time when Prime Minister Dmitry Medvedev is pushing for the state to cede its assets in privatization deals. Economic Development Minister Andrei Belousov said in July that for the deal to go through the Cabinet would need to issue a directive for the government members on Rosneft board, instructing them to vote for the purchase. A directive like that would originate in the Energy Ministry and move on to Deputy Prime Minister Arkady Dvorkovich, as the supervising authority, for vetting before receiving Medvedev’s signature. Medvedev’s ally in privatizations, Dvorkovich was adamant in an interview with Vedomosti last month that state-controlled companies shouldn’t gobble up any more local assets. He didn’t, however, rule out the prospect of an expanding Rosneft. After what the newspaper described as a “very long pause,” Dvorkovich replied to the question about the deal to say that it looked liked BP, rather than Rosneft, put the talks in motion. Considering whether the deal should go ahead, the government will need to see how soon Rosneft would recoup the costs and whether the company would have to suspend any of its projects. Sechin said President Vladimir Putin backed the transaction. First Deputy Prime Minister Igor Shuvalov said Friday that the government is mulling the sale of a stake in Rosneft as early as next year, when the state oil champion could be encumbered by huge debt if it purchases BP’s share of TNK-BP. The government’s master plan for privatizations calls for the disposal of a 25 percent stake in Rosneft by 2016, but Shuvalov said all or some of those shares could change hands next year or in 2014. “We will act very thoroughly, looking for a quality investor and, of course, as large as possible receipts from the sale of a stake like that,” he said, Interfax reported. The deal, for which Rosneft looks to raise at least $15 billion, would make its total debt shoot up to at least $36 billion. At the same time, Shuvalov may have referred to the structure of the deal with BP, which will likely involve a sale of a stake in Rosneft to the British company.